The Jewish International Film Festival screens from October 27 and runs through until November 23. This year’s selection of films includes some provocative documentaries and features and lots of Australian premieres. The opening night film is Denial, starring Rachel Weisz. 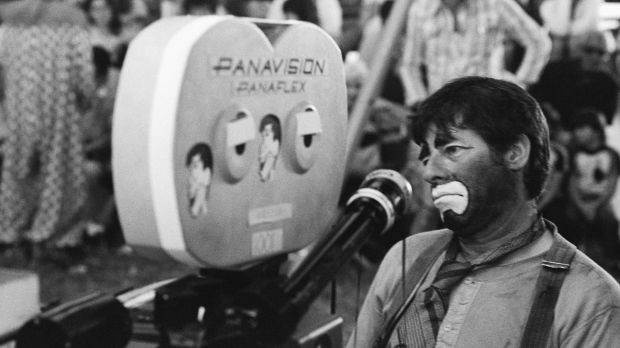 JERRY LEWIS: THE MAN BEHIND THE CLOWN. “Every person who is in the comedy business has a serious side.” Released in time to celebrate his 90th birthday, this French produced documentary gives us brief look at Jerry Lewis the comedian and filmmaker. Like Chaplin and the pioneering silent comedians before him, Lewis drew upon visual gags and physical slapstick humour, but he also exercised great control over his work as write/producer and director of several classic screwball comedies. While American critics failed to understand where he was coming from and dismissed him as low brow, French audiences and filmmakers regarded him highly as an auteur. French filmmaker Gregory Monro has assembled this hour long documentary that charts his career from his early start as a teenager accompanying his father Danny, a stand up comic, through to his long time partnership with Dean Martin, his relationship with mentor and filmmaker Frank Tashin, and his own solo projects. Monro has drawn upon archival footage and clips from Lewis’s films to assemble this portrait. There are interviews with filmmaker like Martin Scorsese and Jean-Luc Godard, as well as a couple of film historians to put his career into perspective. There is also an extended interview with Lewis himself and he appears a little bitter at his treatment by American film critics. But the film offers little that we haven’t seen before in other documentaries like 2011’s wonderful and detailed Method To The Madness Of Jerry Lewis. There are no startling revelations or controversies here either. Sand Storm is set in a small Bedouin village and explores a domestic situation fraught with tension and possibilities. Jalila (Ruba Blal-Asfar) hosts the wedding reception for her husband, the domineering and stern patriarch Suliman (Hitham Omari, from the thriller Bethlehem, etc) to a much younger second wife. It is a humiliating situation for her personally. But then she also discovers that her oldest daughter, 17-year-old Layla (newcomer Lamis Ammar) is involved with Anwar, a boy she met at university. But Anwar comes from a different tribe and any relationship between him and Layla is bound to bring shame upon the family. University educated Layla though is more progressive in her outlook and argues against some of the old traditions of her tribe. In particular she wants to marry someone of her own choice. But her head strong attitude brings about a clash of wills and tension within the family. Sand Storm is a powerful and understated drama that explores themes of choices, adolescent rebellion, feminism in a patriarchal society, a clash of cultures, tradition, family conflict, and shares a few surface similarities with the Turkish film Mustang. This is the debut feature film for Elite Zexer who has a few short films to her credit. Zexer spent several years amongst Bedouin tribes and gives us some strong insights into this insular world, its traditions and strong culture. The film features two strong and strong willed protagonists, and the two leads deliver raw and truthful performances. The strong feminist slant is an increasingly noteworthy feature of many films from the region, although some audiences may find the bittersweet conclusion something of an unsatisfactory compromise. Cinematographer Shai Peleg works in close-up, which gives us a strong emotional connection to the characters. He also captures the oppressive heat of the desert setting and the hardships and dusty confines of these rudimentary Bedouin villages. THE PEOPLE VS FRITZ BAUER. War crimes and politics make for a volatile mix in this drama from Lars Kraume (The Coming Days). Last year we saw Labyrinth Of Lies, which explored a dedicated prosecutor trying to convict a former Nazi concentration camp guard while trying to ensure that a new generation of Germans never forgot their recent past and the atrocities of WWII. Based on a true story, this drama shares a few similar themes. 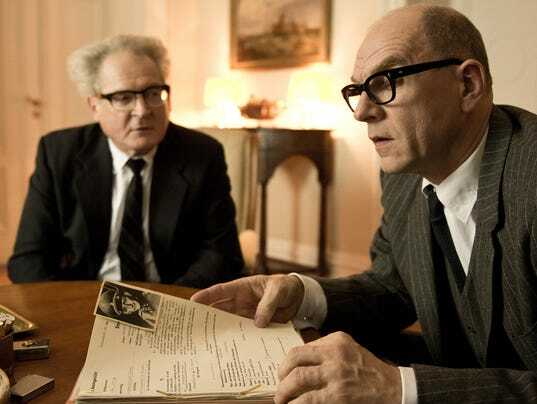 The film is set in Frankfurt in 1957. Jewish attorney general Fritz Bauer (Burghart Klaussner, from The White Ribbon, etc) has been trying to bring former Nazis to trial. But given the political climate of the time, his actions and his determination have made him unpopular with some of his colleagues. Many former Nazis and Nazi sympathisers, who worked in government positions, tried to hamper his efforts. Bauer sets his sights on notorious former SS officer Adolf Eichmann (Michael Schenk), one of the key architects of the Final Solution. Bauer believes that Eichmann is hiding somewhere in Argentina. He works in secret with Israel’s Mossad to locate him and arrest him and bring him to justice. His actions though lead to him being branded a traitor by some. Klaussner gives a typically solid performance as the dogged Bauer. This is an intriguing story, and I knew little about the details as Bauer’s involving the Israeli secret service in the hunt for Eichmann was not revealed until a decade after his death. However it becomes a little muddled in the middle, especially when it concentrates on Angermann (Ronald Zehrfeld), one of Bauer’s loyal attorneys who is in a position to damage his cause because of his extra marital affairs. Kraume brings a sense of authenticity to the period details and setting but his pacing means that the film lacks a sense of urgency and genuine tension.